If you’ve had a hard time tamping down your excitement for the next Batman game, this probably isn’t going to help. 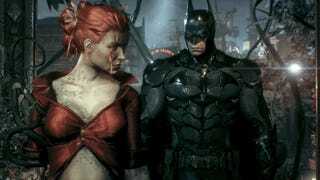 The official clip above looks to be from the early parts of Rocksteady Studios’ next Dark Knight game and features the best look yet at the Batmobile vehicular combat. Since the game’s not out yet, there’s a chance that it may not feel as good as this clip looks. We’ll see when the game comes out next month.